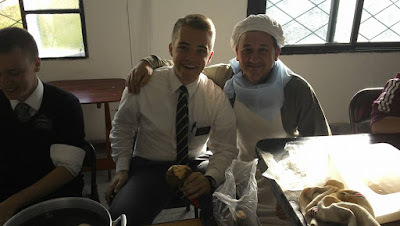 This has been an incredibly full and crazy week. To start, last Monday we had pday especial in Victoria, and we got special permission to watch a Disney movie! 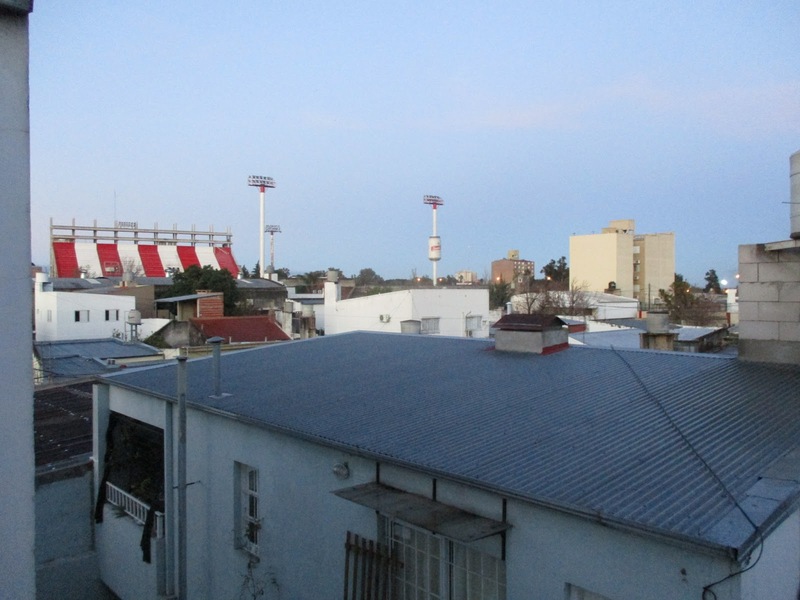 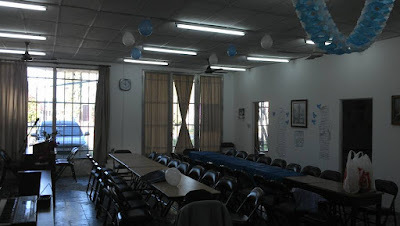 I felt like I was in Misión Córdoba jaja. 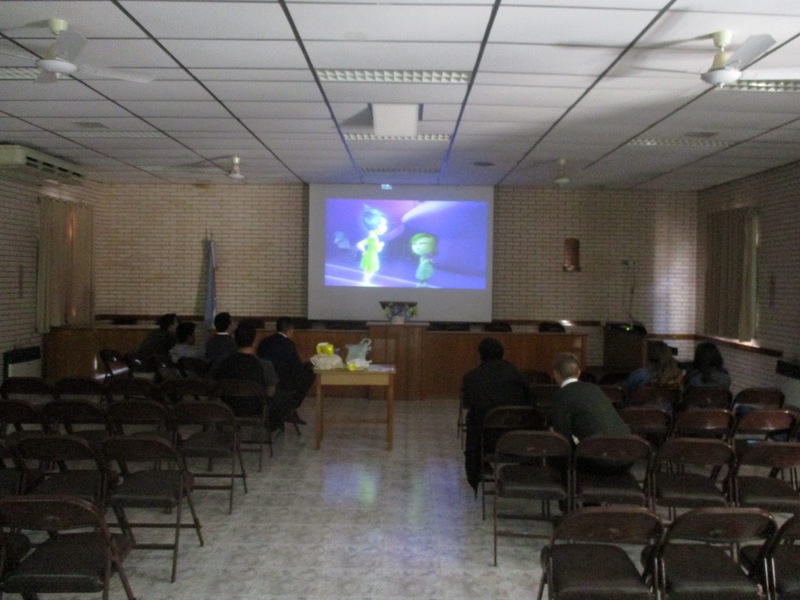 We watched Inside Out together and made popcorn. 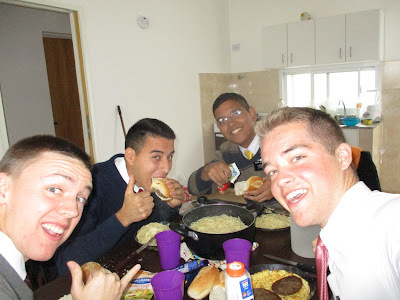 It was pretty great. 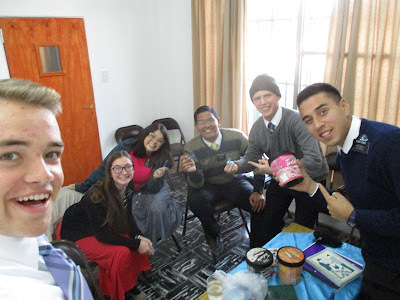 Tuesday in district meeting we bought a bunch of Grido, because we were pretty sure that at least one of us was going to leave, as we had been together as a district for 2 transfers. 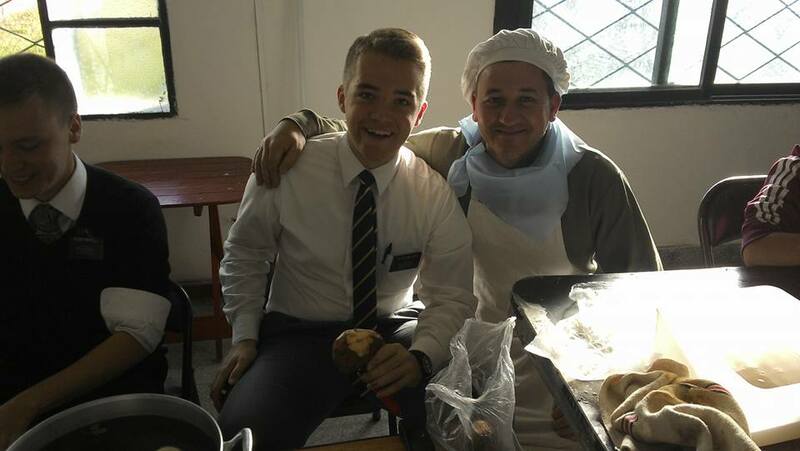 Gotta love Grido. 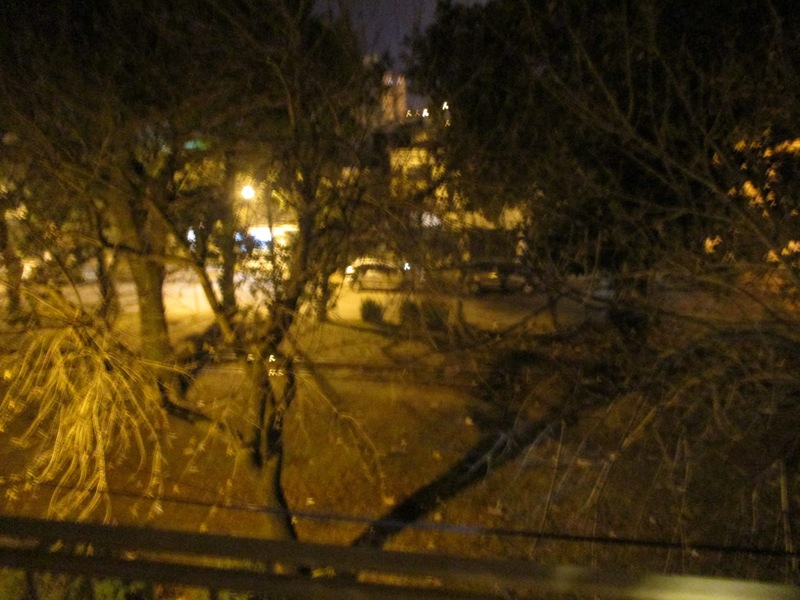 Wednesday was 25 de Mayo, which is a pretty big holiday in Argentina, although I don't remember exactly what it's about. 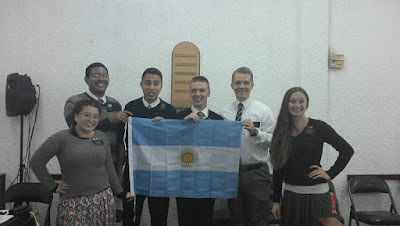 Something to do with their independence. 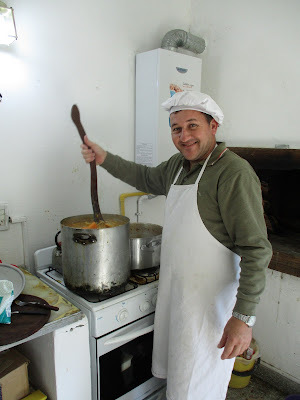 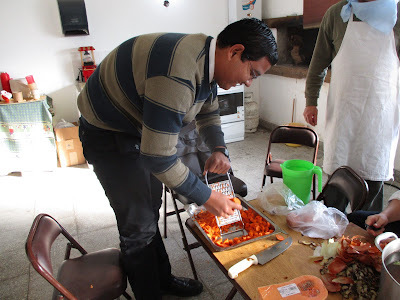 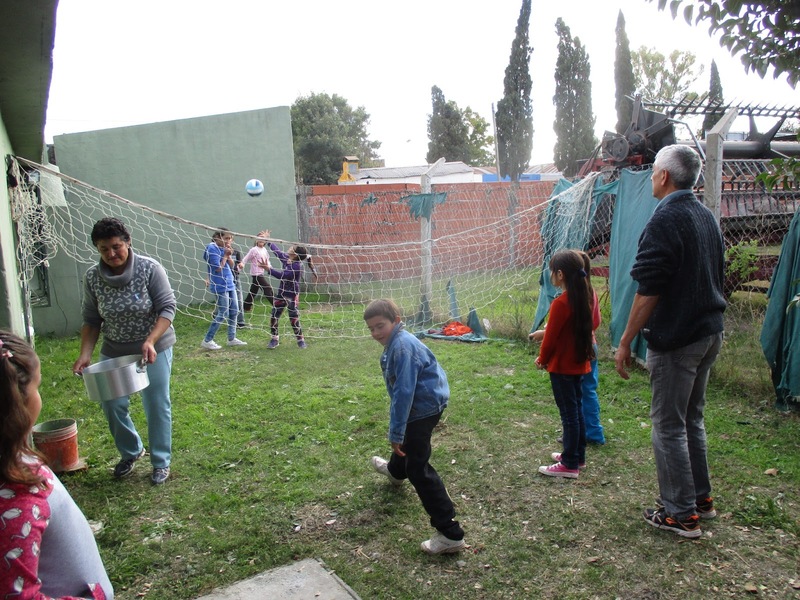 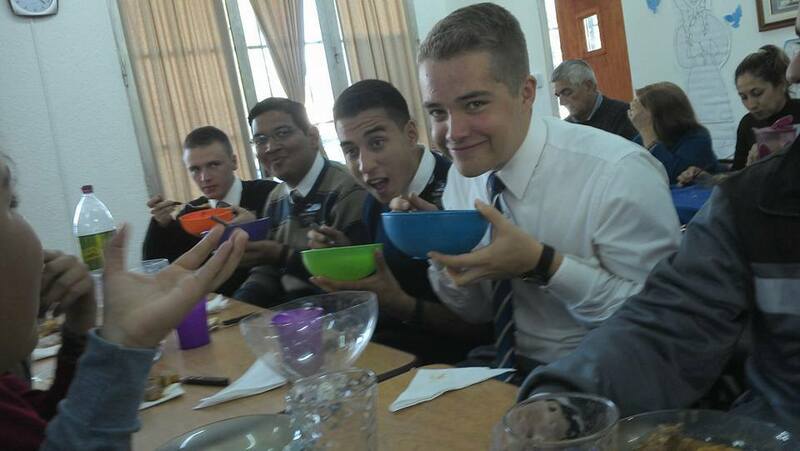 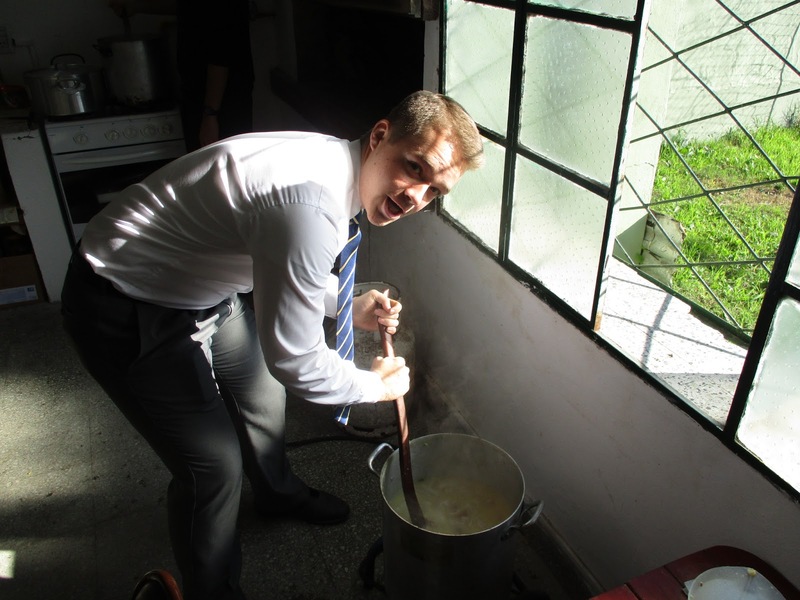 We had a big branch activity to celebrate, a lunch where we ate a traditional food called locro. It's basically a big stew of everything: potatoes, onions, pork, other types of pig, sweet potato, corn, spices, etc. 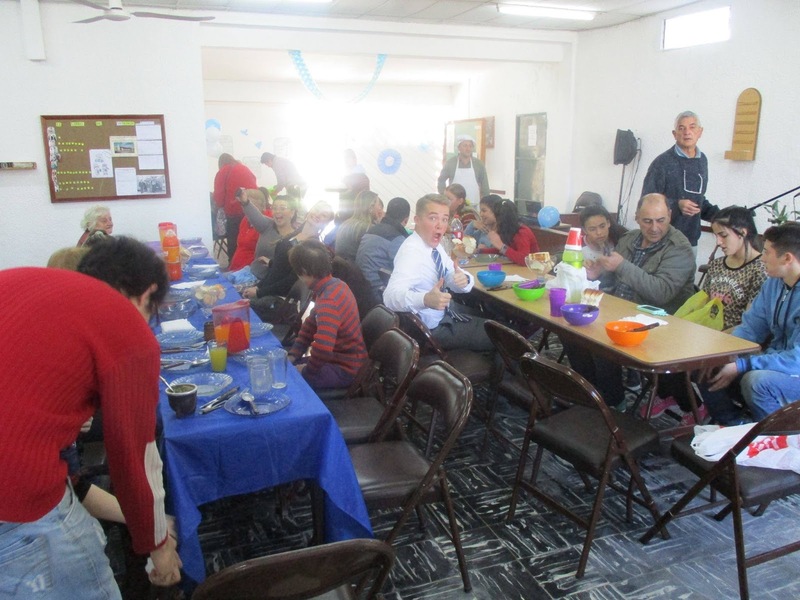 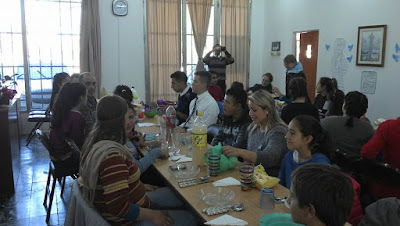 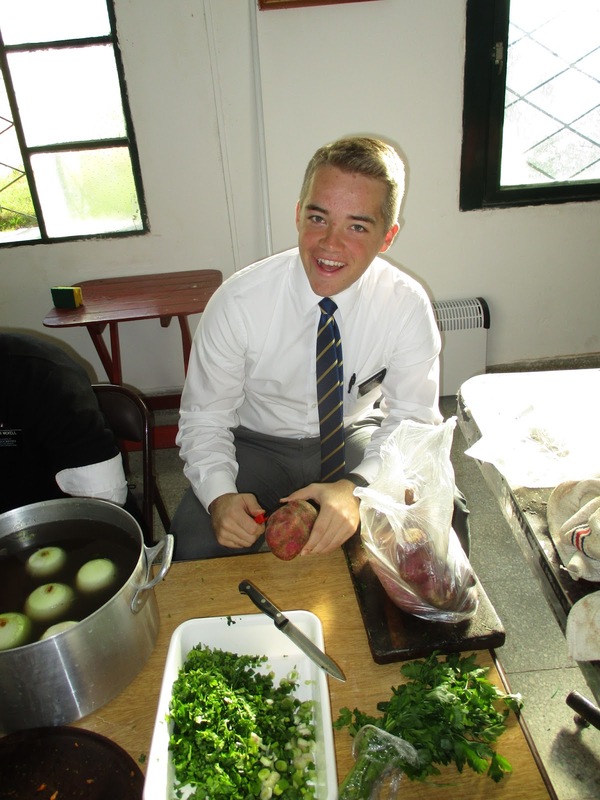 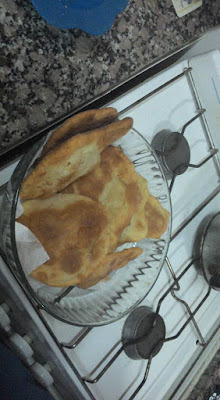 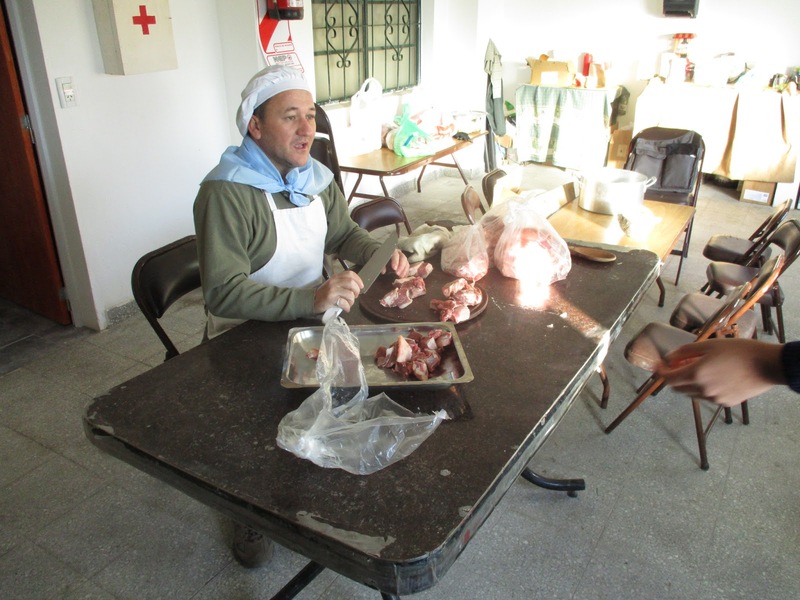 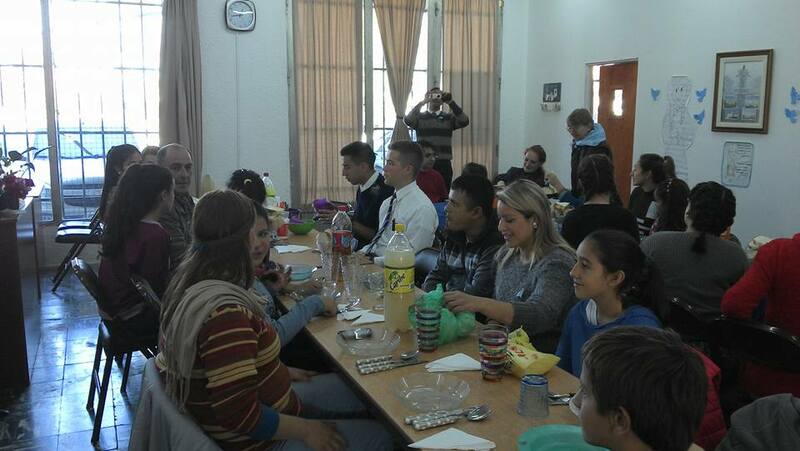 We were in the capilla all morning helping prepare the food, and then we all ate together at about 1. 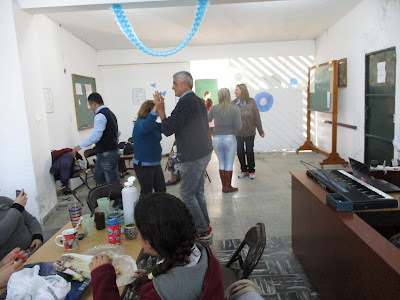 After that we sat around chatting for a while with the investigators and menos activos that had come, and had mazamorra and torta frita for dessert. 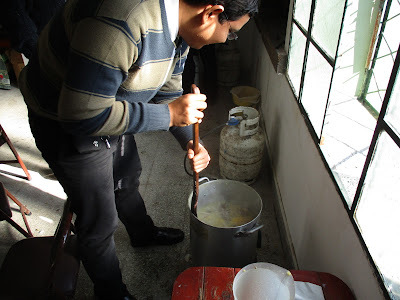 Mazamorra is basically milk, corn, and sugar. 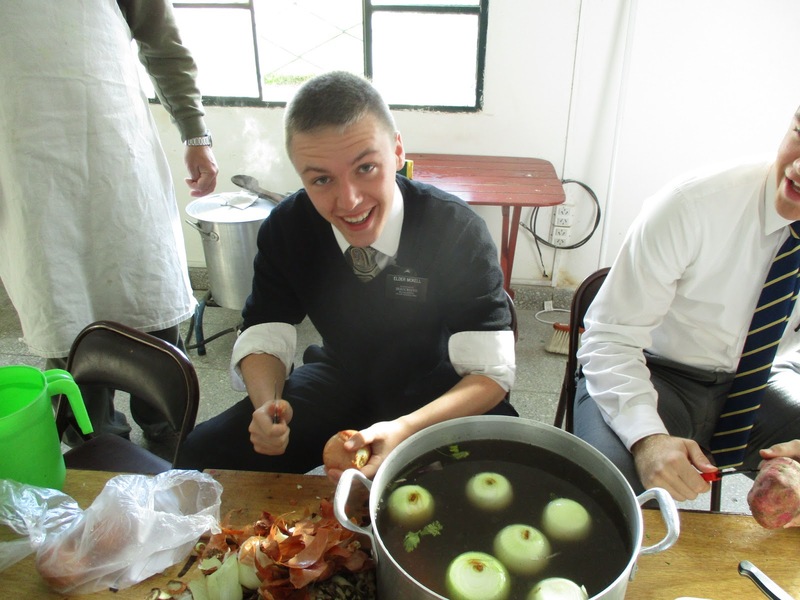 Doesn't seem like much, but it's super good. 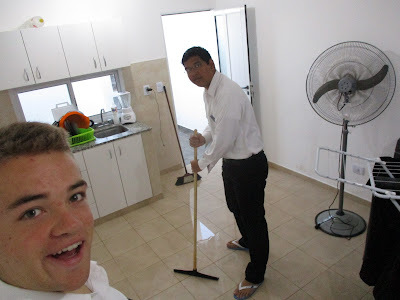 We also had an adventure this week with our pension, as the drain in the bathroom got clogged, so everytime we took a shower or used the sink, our apartment basically flooded, but the inmobiliaria took a super long time to send someone to fix it, so we spent the week honing our flood prevention skills jaja. 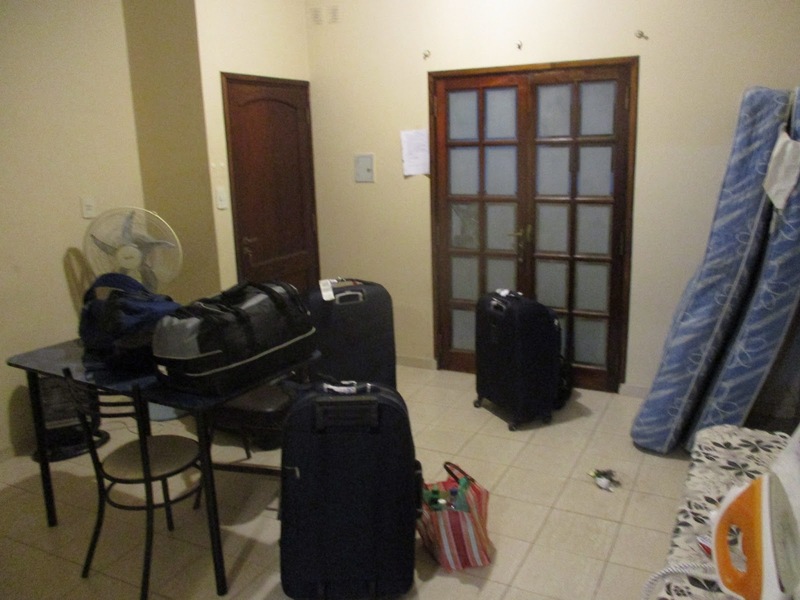 Friday we recieved traslados (transfers), and I unfortunately was going to leave. 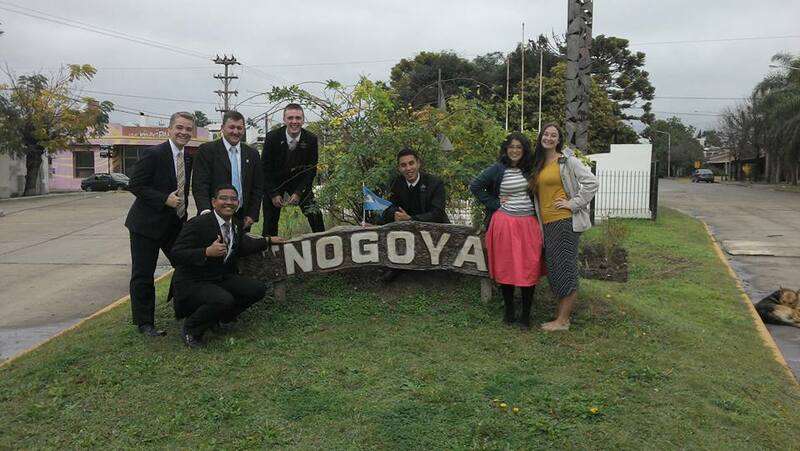 I am now in Santa Fe, barrio Rural, which is the ward that attends the stake center that houses the mission office. 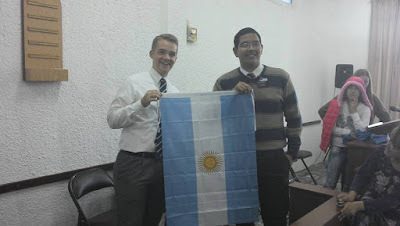 My new companion is Elder Ramirez. 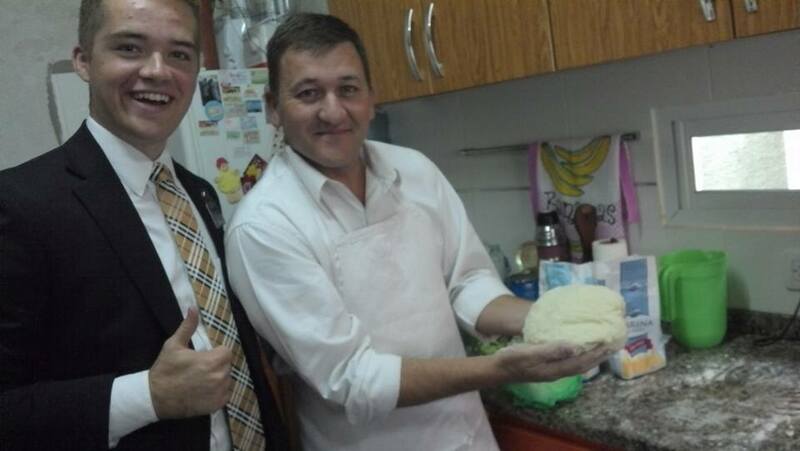 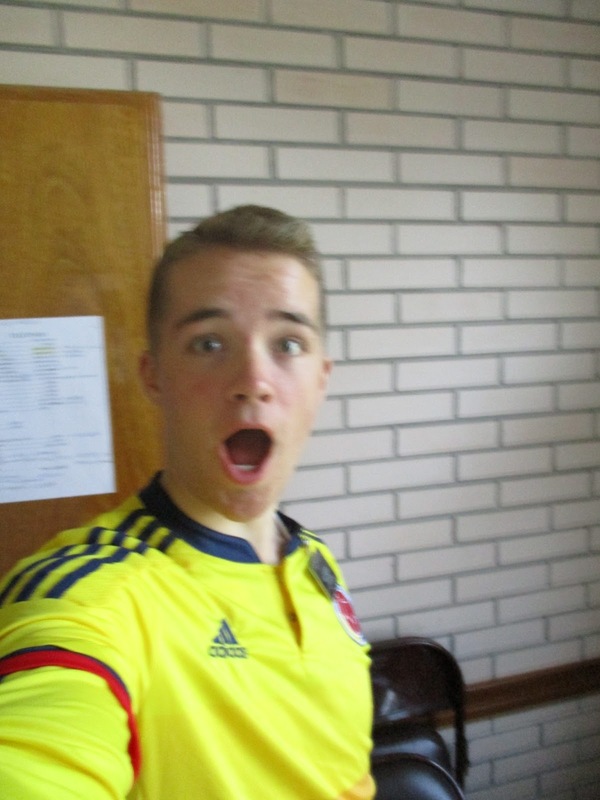 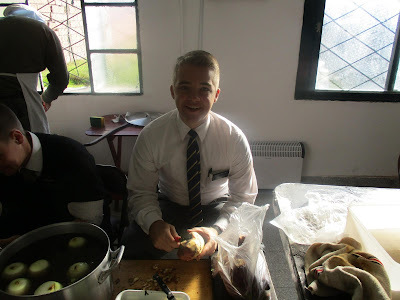 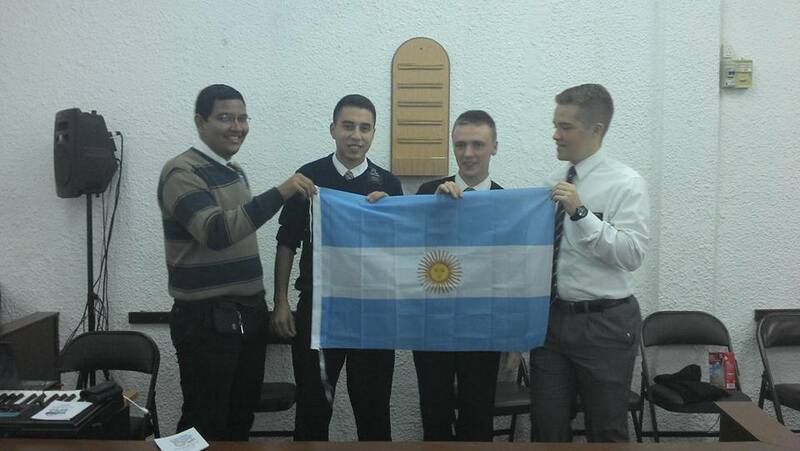 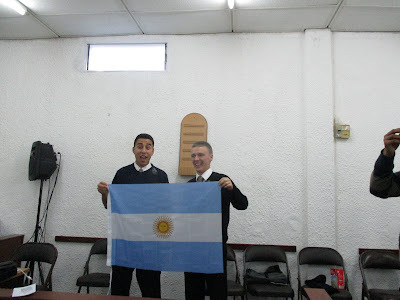 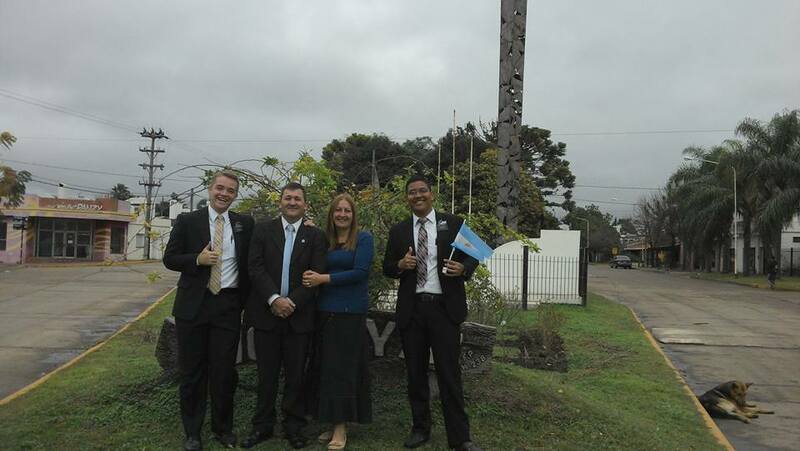 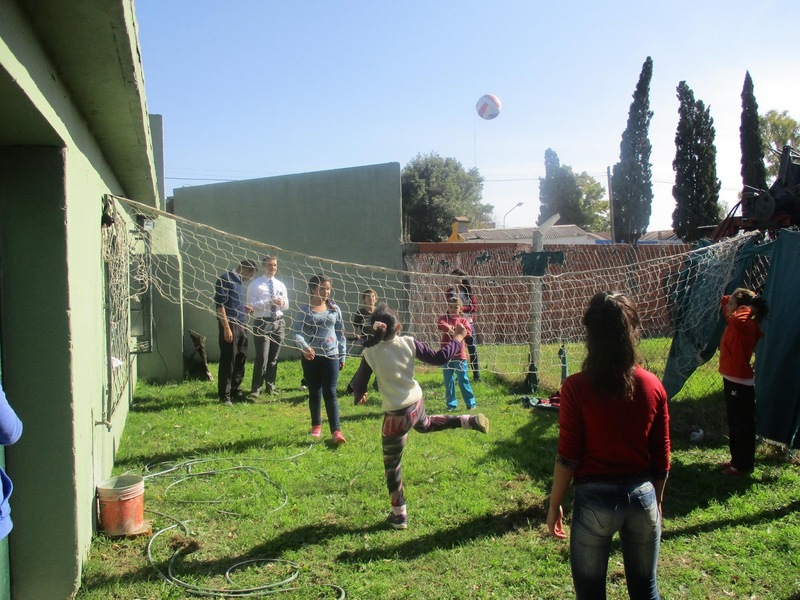 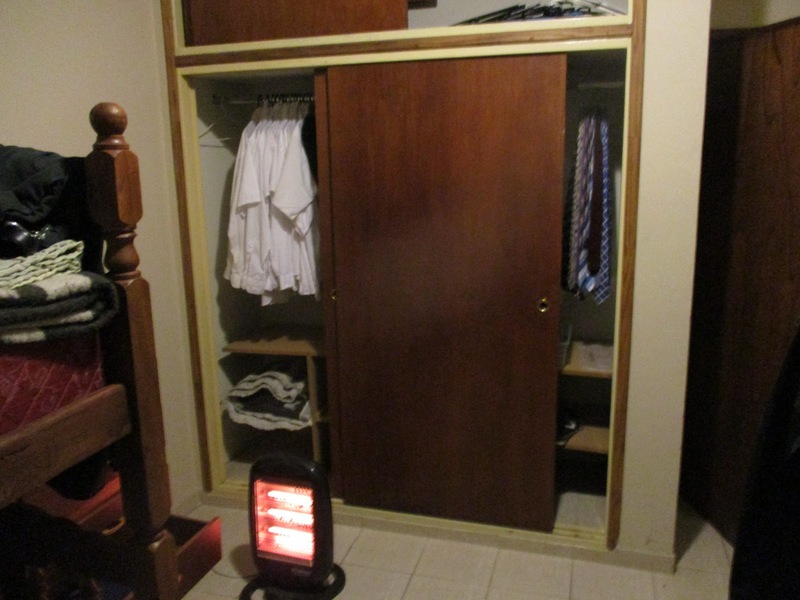 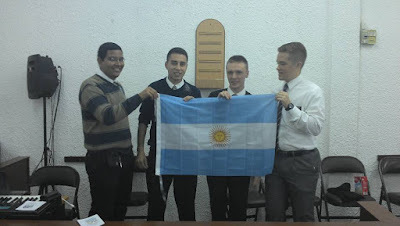 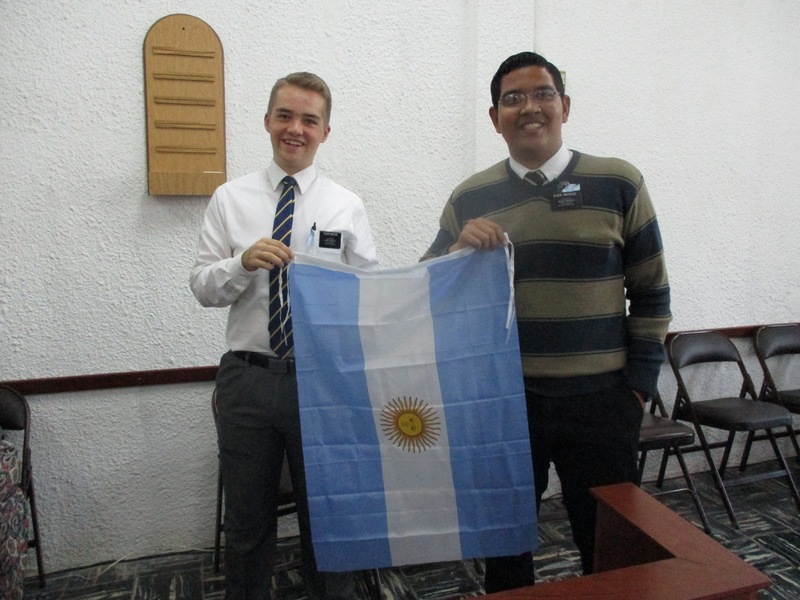 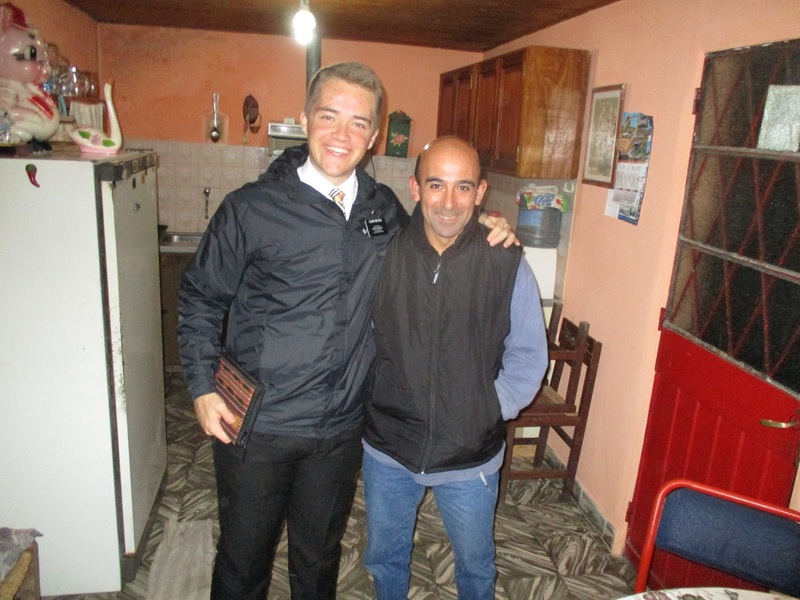 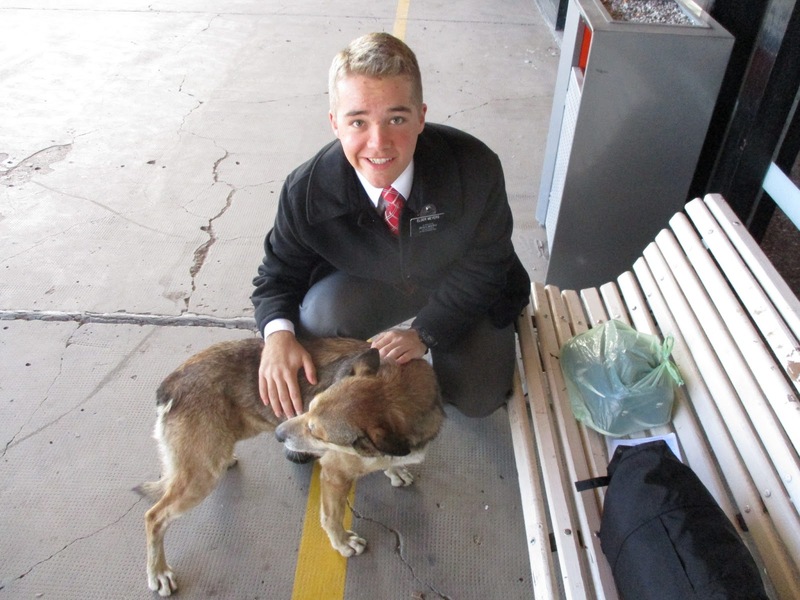 He has 18 months in the mission and is from Misiones, close to Iguazu Falls. We are right in the middle of everything now. 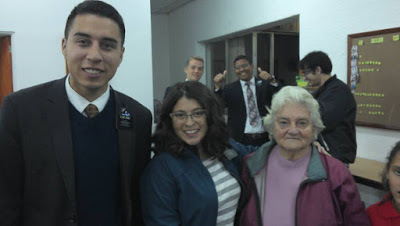 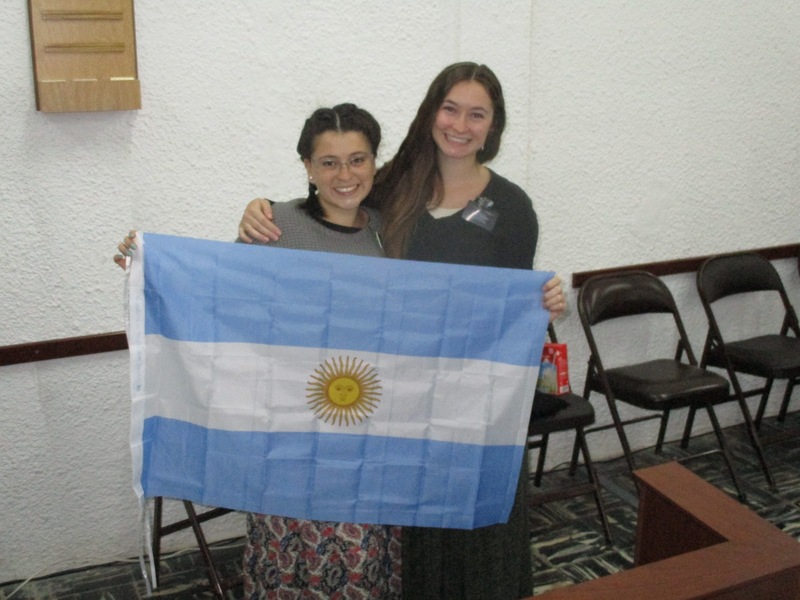 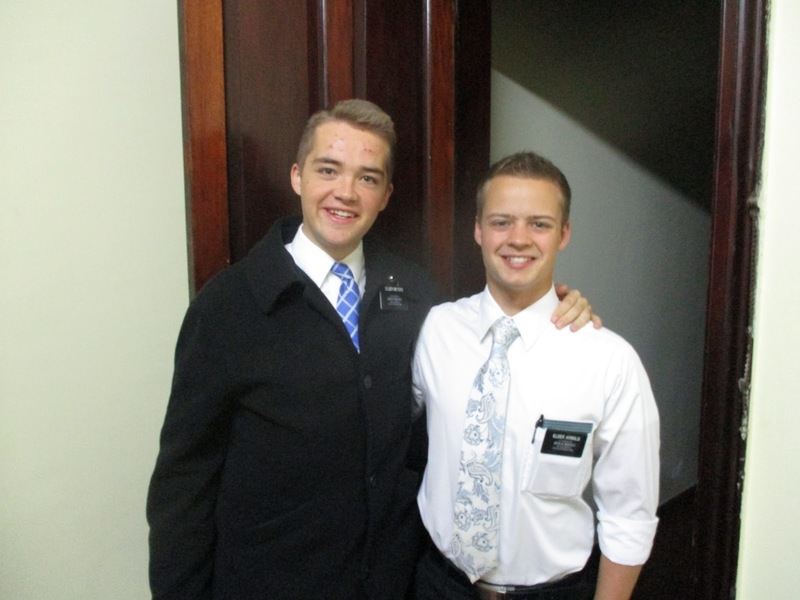 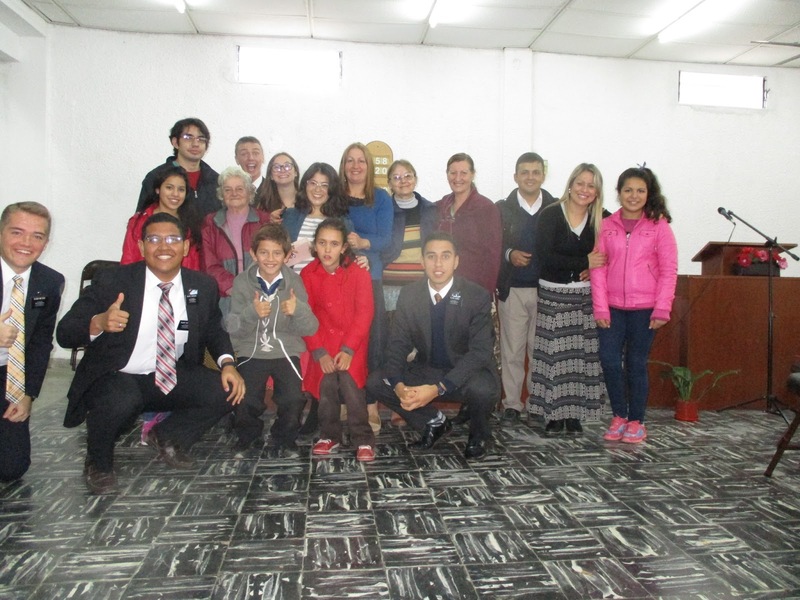 We live two blocks from the mission office in the same building as Elder Blackmon and Elder Robles (two of the asistentes), and we will share the ward with 8 other missionaries: two hermanas, two asistentes, and the four office missionaries. 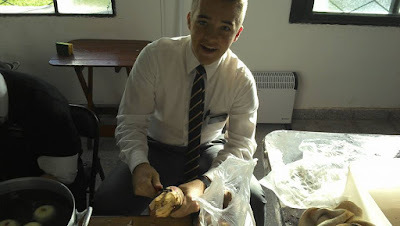 Basically, us and the hermanas are the working missionaries of the ward, as the other six hardly have time to proselyte. 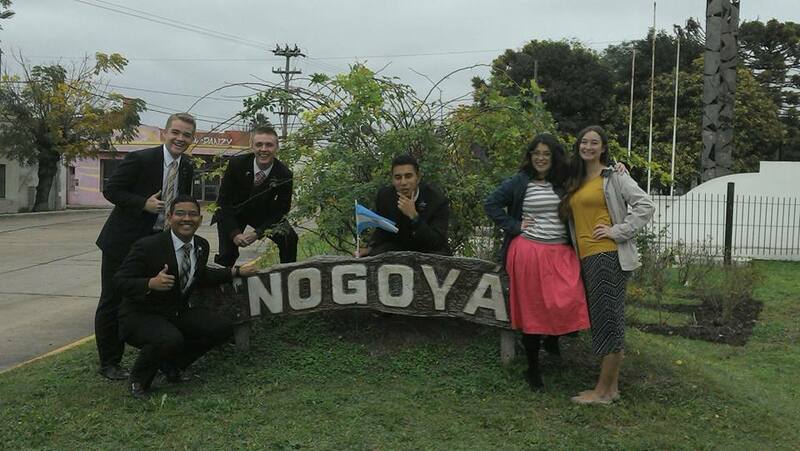 Our ward has about 80-90 active members including an Area Seventy, so it's definitely going to be a different experience from Nogoyá. 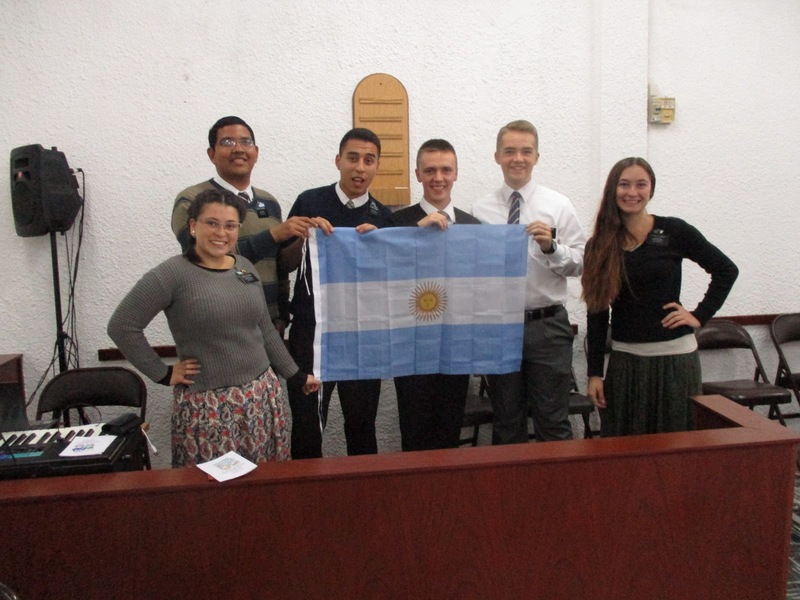 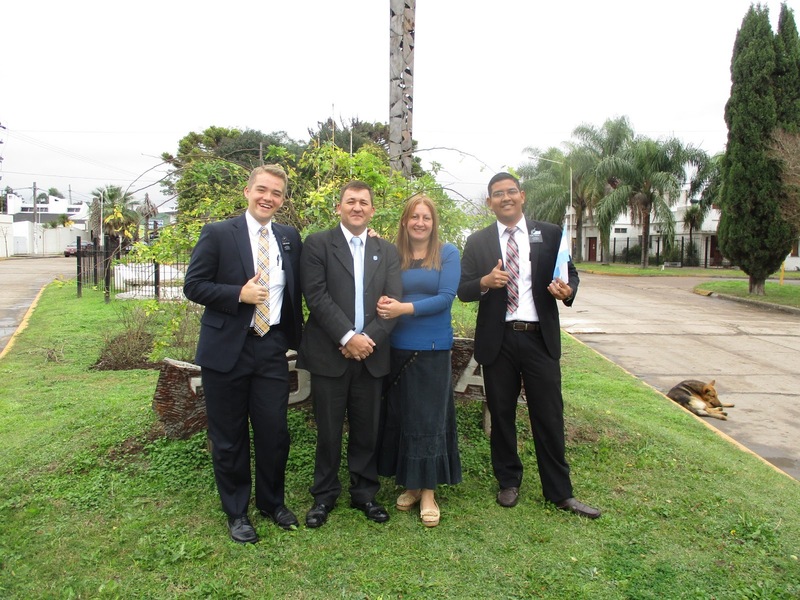 I am going to miss the missionaries from our district there, as well as the members and investigators. 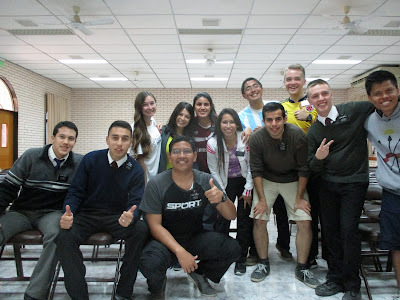 I learned so much there, and it will definitely always be a special place for me. 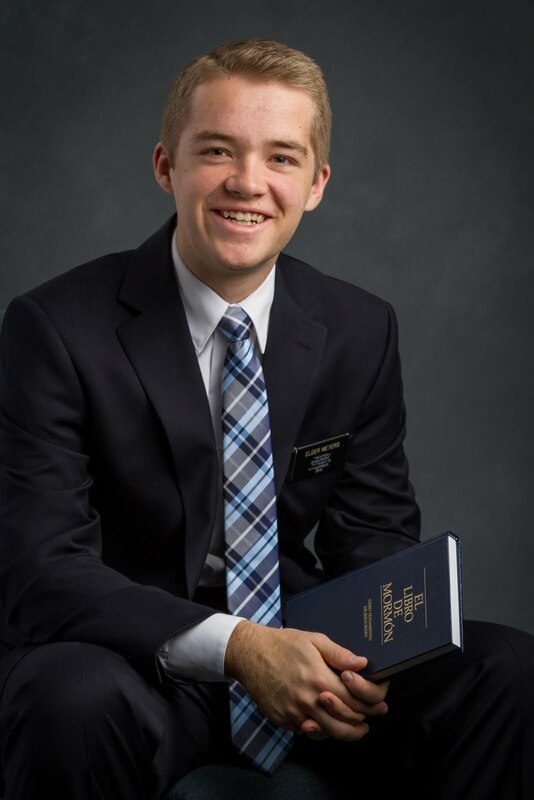 This gospel is so special to me. I know that it is true, and that by living the gospel, investing our lives in it, and making sacrifices to serve the Lord, we will be blessed with greater happiness than we can find in any other place. 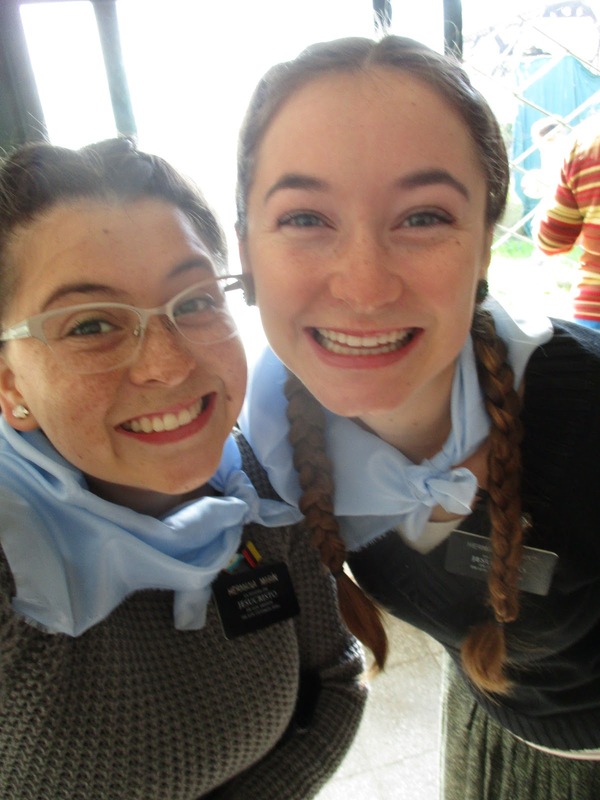 In my life, things have never been so uncertain or foreign or challenging, but I have never been so happy or felt so much peace in my life. 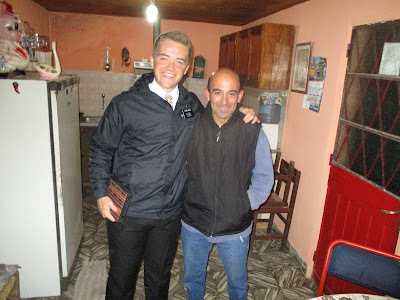 I have a testimony that living the gospel brings peace. I love my Savior with all of my heart. You are all amazing! 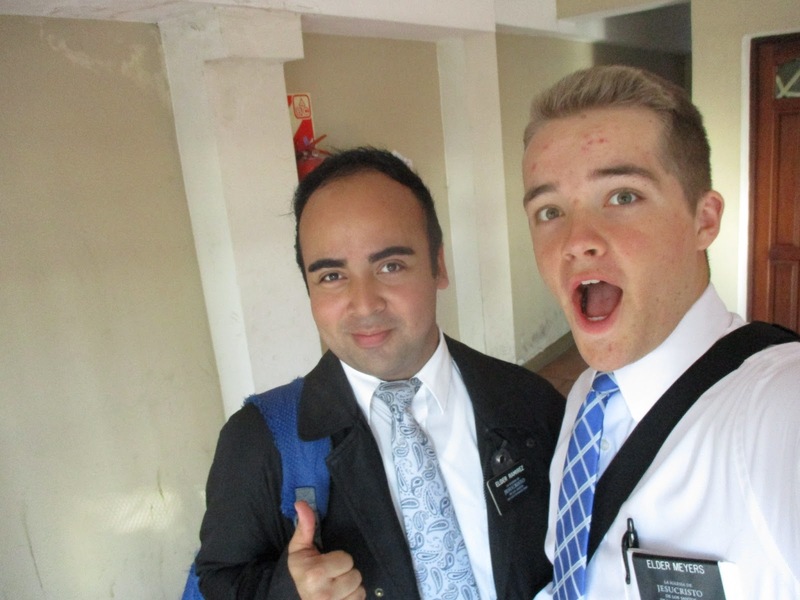 Thank you for each of your letters and pictures, I love them all! 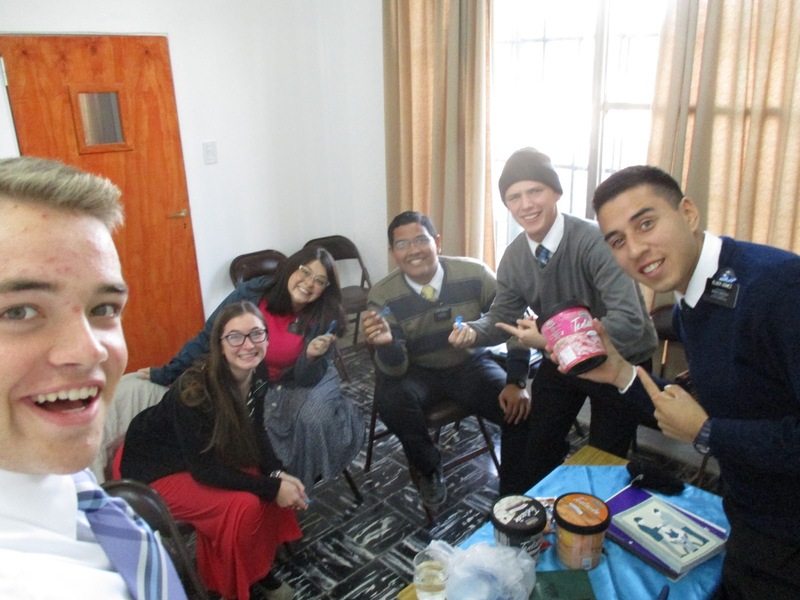 Pday especial...Us watching "Inside Out"
District Meeting with Grido (ice cream)! Guess who I ran into? 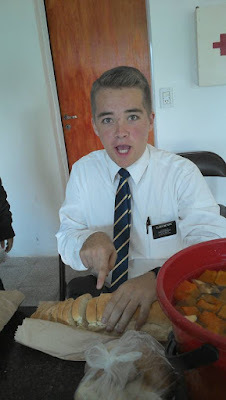 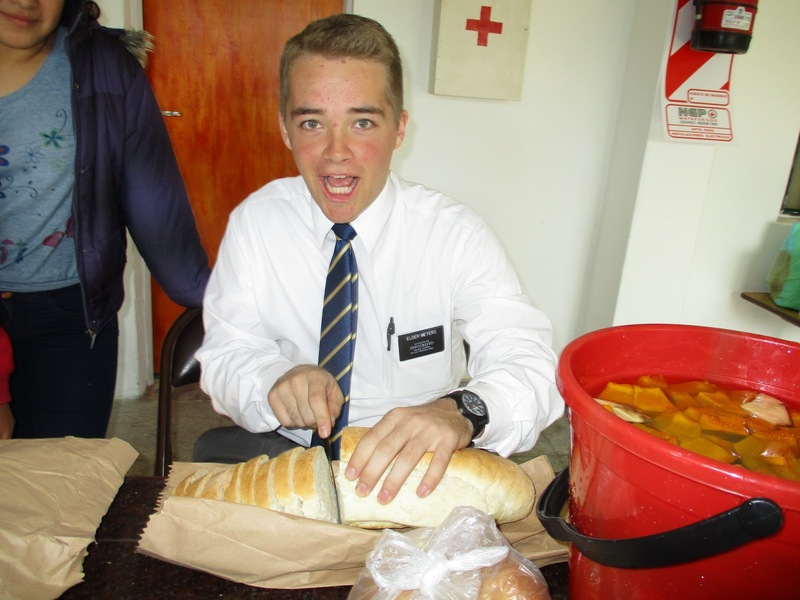 Elder Arnold! 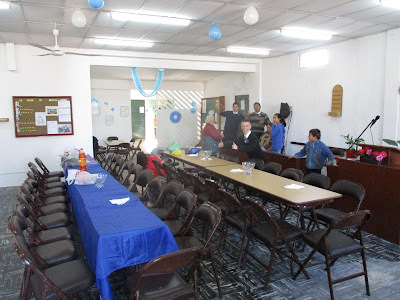 We stopped by the pension of the office missionaries to get something this morning, and he was literally leaving on his way to the airport to go home. Super happy that I got to see him one more time!